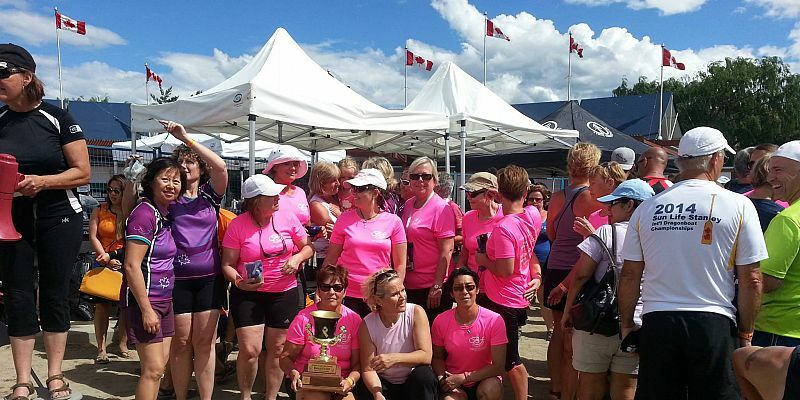 The Kelowna Dragon Boat Club KDBC formed in 1999 to promote fun and fitness through the sport of Dragon Boating and to make it available to the community at large. The KDBC provides a venue through which beginner to intermediate paddlers can learn and train. A Dragon Boat team consists of 20 paddlers, a drummer and a steerer. If you do not have enough members to make up a full team, we will help find enthusiastic members to join you! Paddling times can be booked for any day of the week, any time of the day; mornings, or evenings. We would like to invite you to our one day festival in the Beautiful Okanagan. We will be running an action packed day of racing. We will also be running a Blindfold race in honour of our sight impaired team, a Guts N Glory race and a Breast Cancer Ceremony and race. There will be many vendors to check out. Rib Fest is being held only a 10 minute walk away from the race site. More details will be provided as the festival weekend draws closer. There is a limit to the number of teams able to attend. 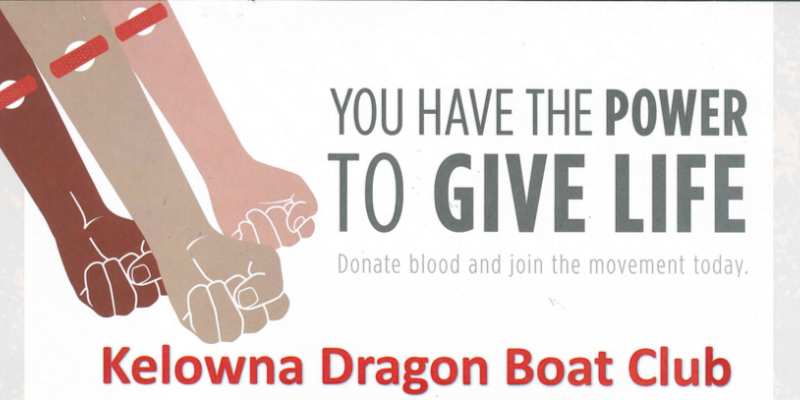 Kelowna Dragon Boat club adopts the Kelowna Blood Doner Centre, 103-1865 Dilworth Drive. Saturday, March 16, 2019. (1m - 4pm). You and your staff can sign up for our KDBC Corporate Challenge at our 2018 Dragon Boat Festival on August 25-26! Want to paddle with colleagues? The KDBC Spirit Team competed in 2016's Dublin Ireland Dragon Boat Festival. It was an amazing experience for all of our paddlers. 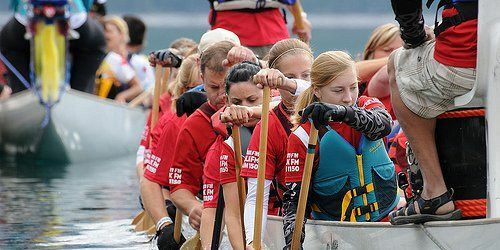 This year the Ladies Spirit Team will compete in the Concord Dragon Boat festival in Vancouver, June 22 - 24th. If you would like information on becoming apart of the KDBC Spirit Team please contact [email protected] . If you have never paddled with us we would love to introduce you to the fastest growing water sport. Sometimes we hold “drop-in” sessions so you can try paddling with all new paddlers. 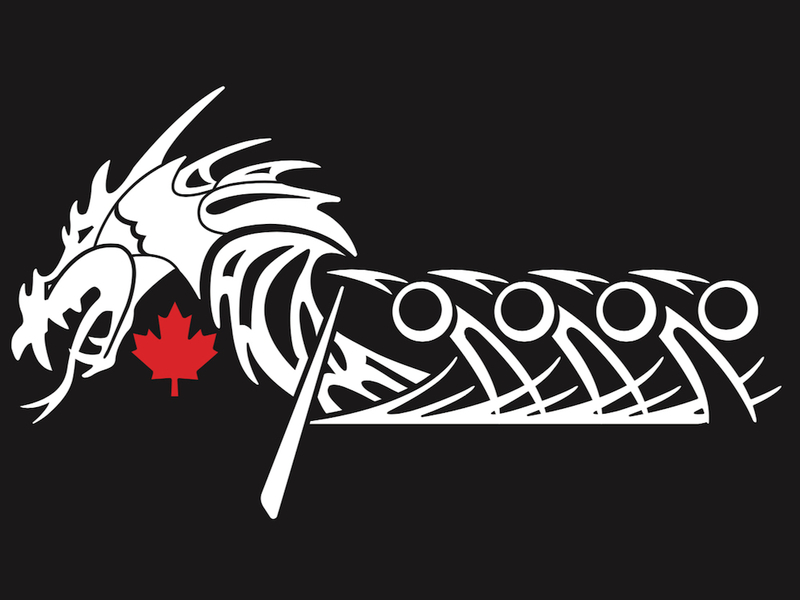 "The City of Kelowna is about to introduce a very cool locally grown project thanks to the dedication of Brad Dahl and the Kelowna Dragon Boat Society. On Saturday May 19th, the launch of the Kelowna Paddle Trail will take place at Downtown City Park at 9 a.m."